Welcome to the Camino! Starting from Leon, the first destination is Santiago de Compostela, the burial place of the apostle St, James. Life on the Camino is reduced to simple pleasures, to being alone with your thoughts and having time to reflect on purpose and place. In the afternoon, we'll have our orientation meeting to explain everything about the following days coming. Then, your guide will lead you through this fantastic town, founded by the Romans as a military camp in 68 B.C. 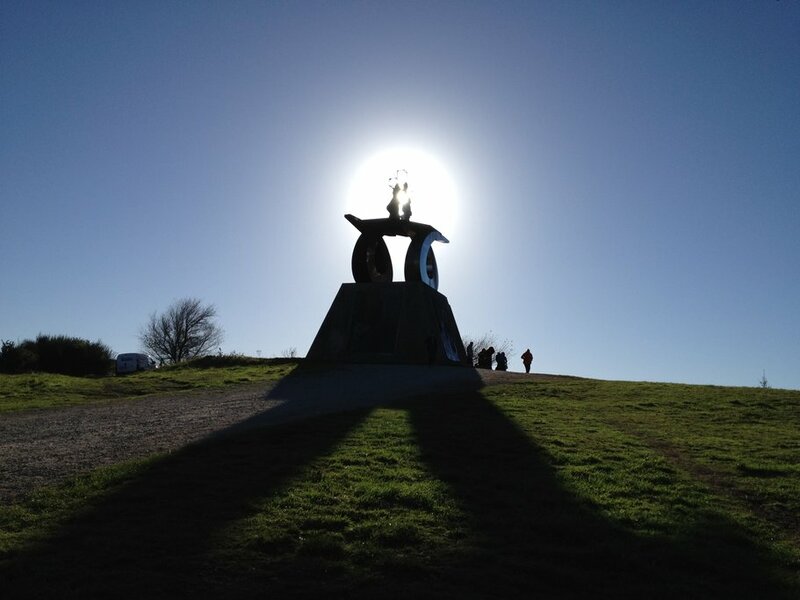 and one of the most important places along the Camino. The former capital of Spain, Leon is famous among many other things for its Gothic Cathedral, with its astonishing 5,904 square feet of stained glass windows, and the collegiate church of San Isidoro, with its Romanesque frescoes and collection of ancient manuscripts. After this, we will have tapas at the Barrio Humedo where we will taste cecina and many other local specialties. 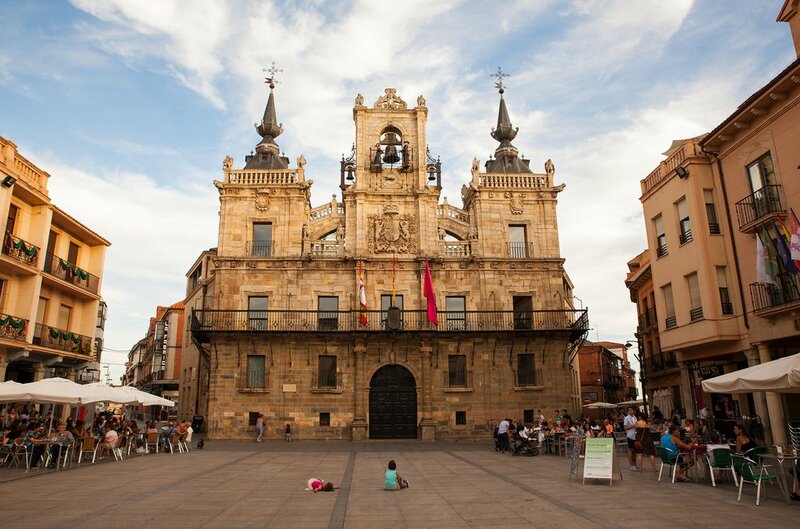 Leaving the pretty city of Leon, we shuttle to Astorga, home of the 15th-century cathedral and the neo-Gothic Bishop's Palace designed by the famous Catalan architect, Antonio Gaudí. The city is rich with the heritage of its past. 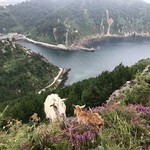 It was the capital of the legendary Iberian tribe of the Astures. It was also an important Roman city, Asturica Augusta, and key stop along the Pilgrims Way in Medieval times. We start walking from Castrillo de los Polvazares, a historical town protected by the UNESCO, enjoying the fantastic panoramic views of the large mountains in the distance. We will pass through the villages of the Maragatos, a unique ethnic group with mysterious origins; the beauty and simplicity of their villages add to the magnificent natural surroundings. Then to Santa Catalina de Somoza (where we'll meet Bienvenido and his family), el Ganso (an important stop where we'll have a refreshing glass of cider, a typical Asturian drink), and to Rabanal del Camino (end of the short option) before starting our ascent to the Iron Cross, a humble monument, yet one of the Camino's most significant, situated on the highest point of the whole Camino at 4,933 feet above sea level. This geographic location divides the Maragatería from the Bierzo, a region protected by high mountains and consequently with a microclimate that produces excellent quality wines and farm products. After a long descent, we'll arrive in Ponferrada, our destination today, where we'll visit its astonishing 13th-century Templar Castle. This is the famous Bierzo region where you will be able to enjoy its fantastic food and wines. Our hotel tonight is an old palace with its own winery. Today you'll drive to the starting point in Ambasmestas, but before we stop at the old Camino town of Villafranca del Bierzo, founded by French pilgrims as a place of absolution for those too weak to continue their pilgrimage, where we´ll visit the Forgiven Door. Then, we´ll continue our pilgrimage through the bucolic valley of the Valcarce River, where the sound of small waterfalls accompanies us as we pass hamlets surrounded by vegetable gardens and orchards dotted with tiny chapels. The outline of the castle of Sarracín stands out against the forest of a distant hill and warns us about the big uphill coming to the end of our stage at the lovely and mystic town of O´Cebreiro. 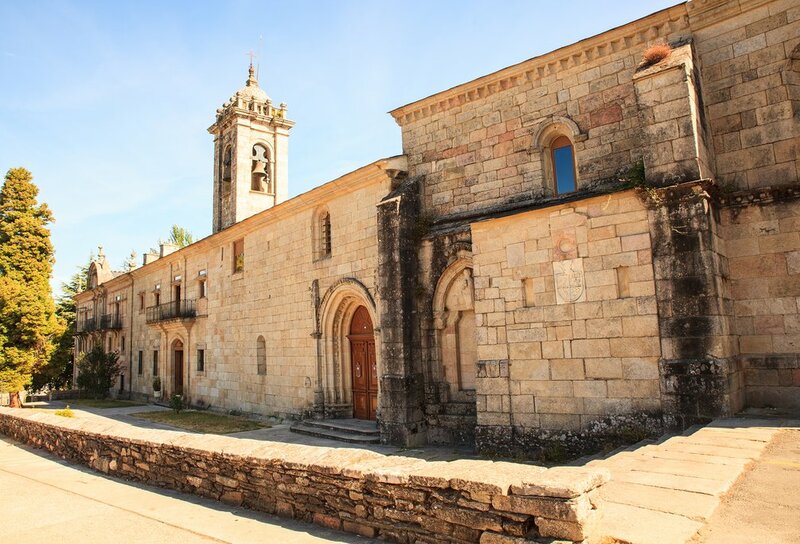 Once we reach the top and enter Galicia, it's time to look back and see all the way done today as we enjoy a good glass of beer by the pre-Romanesque church of Santa Maria La Real while listening to a typical Galician song. After having the best tortilla de patatas and the famous Cebreiro cheese for lunch, we'll drive to the town of Sarria where we'll spend the night. Along the way, we'll stop to visit the Benedictine Monastery of Samos. Leaving Sarria we walk up the narrow granite-paved streets past the castle ruins, the Romanesque parish church of El Salvador and the 13th-century monastery of La Magdalena, founded by the Knights of St. John of Jerusalem. Across an old Romanesque bridge, we enter a thickly wooded area and continue along “corredoiras” and parts of the original Roman road. leads us to the new Portomarin, a town who was moved up to the top of the hill, stone by stone some of the most historic buildings, due to the water reserve that Franco built in the 50's in the river Miño. The remains of the old town are visible under the water when the water level is low in late summer. A very live town, always full of pilgrims resting their legs and sharing their experiences with each other in the main square by the 12th-century lovely Romanesque fortress — church of San Nicolas. In the evening options of exploring the surroundings of this lovely town while riding on a horse or kayaking in the river. Tonight we dine at Mario´s place, notable for its lively atmosphere, home-grown food, and own wines. After dinner, we´ll introduce ourselves into the Galician culture and the most ancient traditions through a fiery queimada. Our walk today takes us through patchwork fields, farms, pastures and ancient oak forests over rolling hills full of cruceiros, a type of granite cross and other historical remnants marking the Pilgrim's Way. The abundance of Romanesque architecture in this area makes it one of the most important for art historians in all Europe. Our destination was inhabited by Visigoths, Celts, and Romans. Along the way, we'll visit the legendary church of Vilar de Donas, the pantheon of the knights of St. James, where we contemplate the ancient frescoes and tombs of the knights of the order. Our hotel in front of an impressive castle is the perfect place to rest our feet and our body, and enjoy a wonderful dinner. The walk today takes us through the town of Melide, a town considered the best place to eat pulpo (octopus), one of the Galician specialties. As we cross the medieval bridges we admire the ideal landscape that surrounds us, and we talk to locals as they work the land. The eucalyptus forests shelter us from the sun and the wonderful meet Carmen and his family, who run the hotel and grow their own products that we enjoy for dinner. Our excitement builds as we begin our final walk into one of the most important religious sites in the world, Santiago de Compostela. The last stage of our pilgrimage includes walking through eucalyptus and oak forests. The joy millions of pilgrims have experienced as they approached their final destination can be felt in every pilgrim we meet. The last uphill of the whole trip takes us to Monte de Gozo (The mount of Joy), the first place from where we can first see Santiago in the distance. We descend the hill as our excitement increases, granite-paved streets lead us through town to the Plaza del Obradoiro and the Cathedral, resting place of St.James and the goal of millions of pilgrims through the centuries. A fantastic lunch before going for our Compostela is a must to do in Santiago.